This 4 stage system uses 3 larger sections and 1 standard section. 3 sections to the pan and 1 to the turbo. 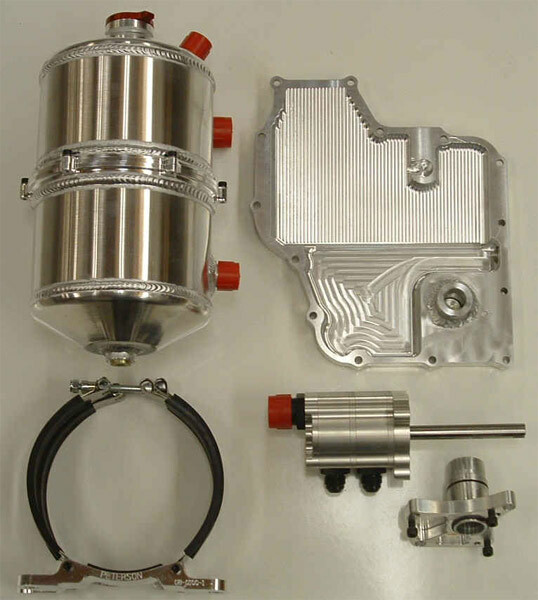 With this pump a Hayabusa engine will pull 11 inches at idle while maintaining a negative until about middle of 6th gear on high boost race applications. This is the ultimate combo for the serious racer! Roots style scavenge system with 2 -10an inlets and 1 -12 an outlet. 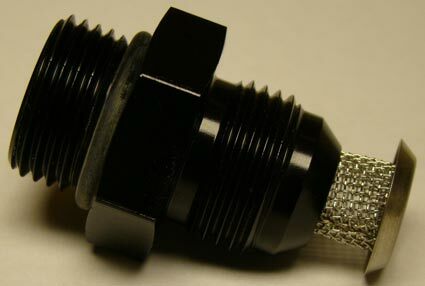 Comes with adaptor plate already made and ready to bolt on your busa in place of the water pump. 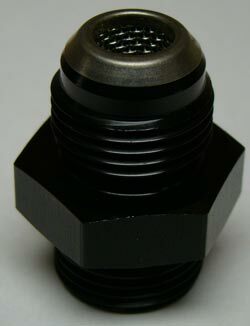 Billet pan features a 1/2 npt port for the oil feed and a 3/8 npt port fro a misc application. You will have to drill and tap for your scavange lines. This baby fits better than any other scavange pump set up, no grinding needed...engineered right from the start! 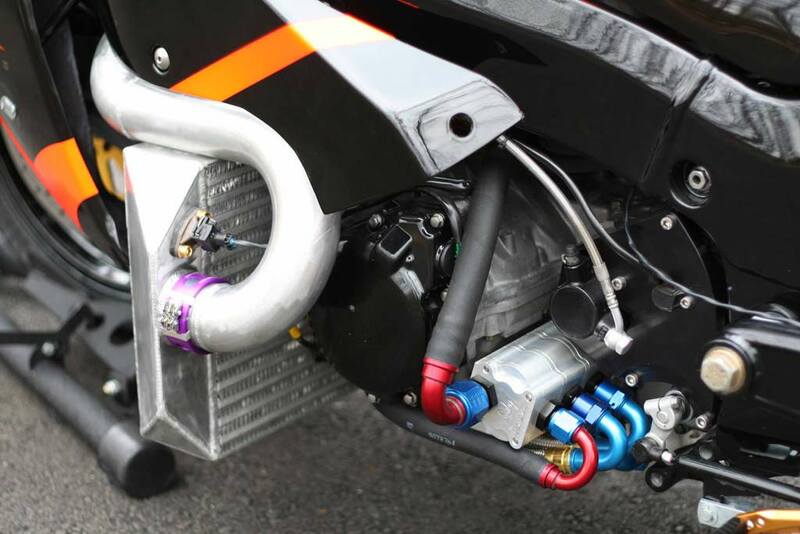 Motor bikes: Pick up free horsepower by bolting this set up on as it will pull vacuum. Turbo bikes: Tired of a smoking turbo? Embarrassed when your stuff looks like a mesquito fogger? This will stop it and be a benefit to your program. Be certain your motor is getting oil all the time. WHY TAKE A CHANCE ON A $7000.00-15,000 motor? This is a proven setup! NLR now offers an exclusive custom 3 stage scavenge section for those who want the very best! 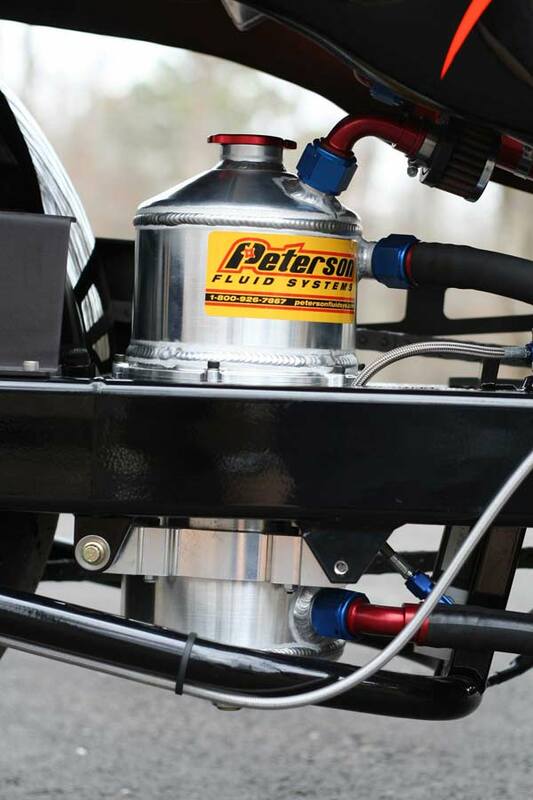 Add dry sump filters to the dry sump section and prevent damage to your dry sump pumps. 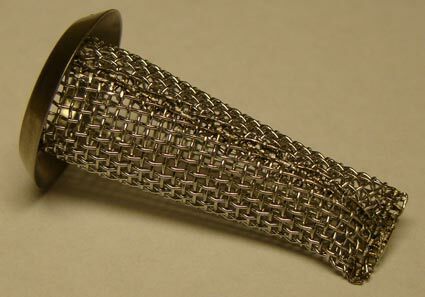 These inline filters drop right into your hose... Available in -10 sizes only.